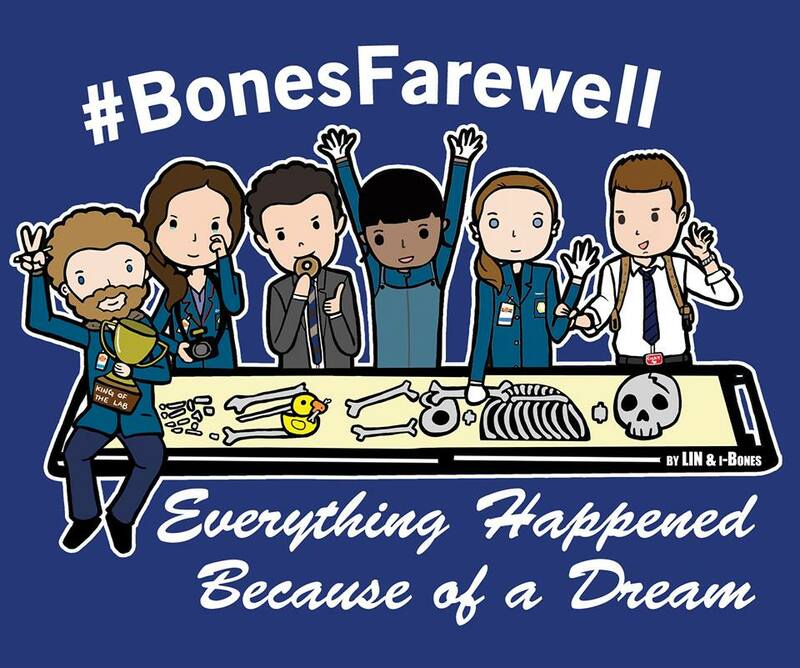 Fan initiative to say "goodbye" to cast and crew of Bones with other Squints from all over the world! The idea was conceived to have some kind of recognizable "uniform" at last Bones panel of San Diego Comic Con but people loved it so much that we decided to expand it. 2) Take a picture of either you wearing the t-shirt or the t-shirt alone, with the most distinctive place of where you live (for example: if you live in Paris, you may want to get a picture of you wearing the tee next to the Eiffel Tower). 3) Then post it on Twitter using the hashtag #BonesFarewell and making sure to specify where are you posting it from, in order to show the cast & crew where the love they are getting is coming from. We are a fan group, of course we don't do any of this for money and we have no interest in profiting from this initiative. That's why we decided to donate all the profits from the sale of the t-shirts to The Children's Tumor Foundation (www.ctf.org), an organization that"encourages and supports research and the development of treatments and cures for Neurofibromatosis", a disease that the Bones writer, now showrunner, Michael Peterson brought to the attention of the viewers back in 2013 with episode 8x14 "The Doll in the Derby". #BonesFarewell Campaign is a fan initiative, ideated and realized by the staff of Italian news site i-Bones.net.